Bryan grew up in Orange, California. He received Jesus Christ as his Lord and Savior in 1999 while trying to disprove the Bible. Bryan graduated from Calvary Chapel Bible College in 2005 with a degree in biblical studies. During his time at the Bible College Bryan began volunteering as a janitor, which led to serving on the Calvary Chapel Costa Mesa prayer lines and then to serve with Pastor Joey at the Worship Generation young adult service on Monday nights. In 2005 Pastor Joey asked Bryan to begin a pastoral internship with him while planting Worship Generation as a new Orange County Church. Bryan & Heidi have been married since 1997, and they have four girls; Trinity, Sarah, Olivia and Chloe. 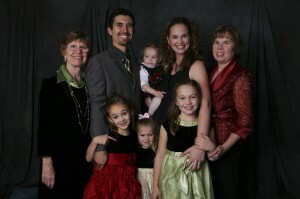 Bryan is currently serving as the Senior Pastor at Orange County Christian Fellowship.